Little Flower has an unwavering commitment to providing quality services for adults with developmental disabilities. For over 30 years, the agency has provided residential services and treated individuals with respect and dignity. We are proud to be one of the first agencies to offer responsive and compassionate alternatives to State run institutions! Each person is assisted to maximize his or her potential for self-care, social, emotional and physical development. The dedicated team of administrators, direct care workers, and clinicians work together to provide a continuum of care. Services are provided in Brooklyn, Queens, and Long Island. Little Flower’s population of over 400 individuals with developmental disabilities have abilities that are as varied and widespread as their disabilities. 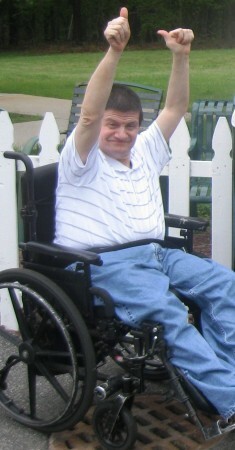 Most of our residents live and are cared for through our Family Care Program. Here individuals live with families who are certified by New York State and are supervised and monitored by Little Flower. ICF provides care for individuals who generally have complex clinical needs. IRA is a small-group residence that provides residents with more opportunities for greater independence. In addition to several high-quality residential services, Little Flower provides Medicaid Service Coordination for these men and women. These individuals are provided comprehensive assistance to ensure that all their service needs are met and coordinated. It is difficult to define the limits of people with disabilities as we continue to discover extraordinary abilities within them. While these individuals face a more challenging future than most, they still can enjoy a full and active life. What they need most is encouragement, understanding, and the willingness of others to help them maximize their opportunities for becoming part of the community.